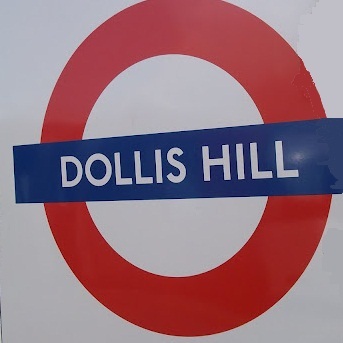 Dollis Hill was recorded as Daleson Hill in 1593 and later as Dolly's Hill, but the name origin is unknown; possibly it is taken from a nearby manor that was once here. Dollis Hill Lane, the main road, climbs the Hill at this point. 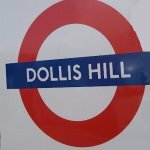 The station was opened as DOLLIS HILL on 1 October 1909.